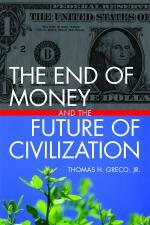 My latest book, The End of Money and the Future of Civilization has been rated one of the top 15 SHAREABLE books of 2009. It shares this list with some very good company. Have a look. “Shareable is a nonprofit online magazine that tells the story of sharing.” The guys who run it have some pretty impressive credentials. This entry was posted in Developing Alternatives, Exchange Design, My activities and tagged credit clearing, currency, end of money, Greco. Bookmark the permalink. That’s really great news, Tom. I see growth even more in a short time, because I don’t see our present economy pulling out at all.